Bonjour Peak of Très Chic-ers! Julia here from The Urban Slant sharing some Monday morning inspiration with you. Usually, I like to see Monday as a fresh start to your week. You can start off with a clean slate at work, make a new to-do list, and stay optimistic you'll have a good week. But, sometimes when Monday rolls around, I need some fresh inspiration to get me through the week. Like now when the weather in NYC is less than desirable, and I have a crazy week ahead. So let's play a little game, shall we? Let's pretend that I won the $640 Million Mega Millions jackpot on Friday. 1. Set 2/3 aside and do NOTHING with it. 2. Pay off my parent's house so they always have a place to live. 3. Donate a large amount to the American Cancer Society in memory of my Grandparents. I believe that you should always think of others when you inherit, make or have a lot of money. But, since this is a game, I'm going to be a little selfish and make some impulse purchases. Purchase a private jet so I can travel at my leisure, and in style. Buy the Céline bag I've been coveting. In black AND tan. Because I can. Take my entire family on a Safari through Africa. 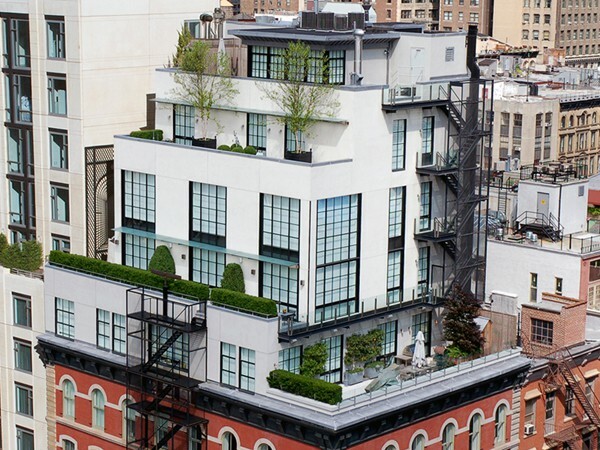 Buy this TriBeCa Penthouse and be fabulous. 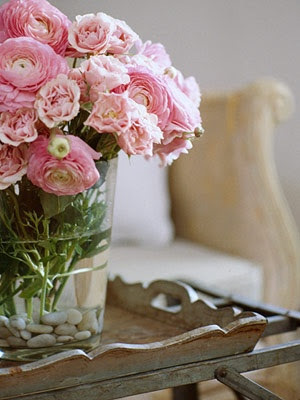 Have fresh flowers delivered every week to this Penthouse to increase it's beauty. What would you all do if you won the jackpot? Have a great week, and thank you for having me, Sam! Be sure to check out The Urban Slant for daily reads on fashion, design, food, travel and urban living. gah. can you imagine?! I'm right there with you. The private jet is brilliant. Private jet would be at the top of my list too — so fun! Oh how fun, i cant wait to play! Thanks SAm, this was fun! Wouldn't that be the best?! I never bought a ticket so I guess I never had a chance of winning! I would totally buy the celine bag in both colors as well!! Oh a girl can dream! Such a perfect list! Traveling would be my number one. oh my god- you are SO a girl after my own heart! 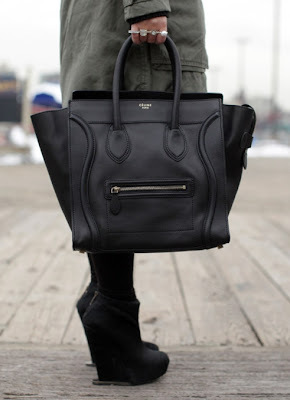 the celine handbag is so high on my list it's a little pathetic what i wouldn't do to own one. and an african safari? take me with you!! That was SO fun! Thanks for the ride Sam. Hey next time around if one of us wins, she has to buy four of those bags! 2 each! Deal? Fun post - excellent choice of bag - in both colours - that's good idea! hehe fun game!! definitely unique, and inspiring! aaaw man....that's SO MUCH MONEY! wowza. LOVE this! I could play this game every day. Can we?! Such a fun post!!! Love day dreaming about things like this. Would definitely make sure my parents were set and would have to pick up the classic Chanel quilted bag in black and white. 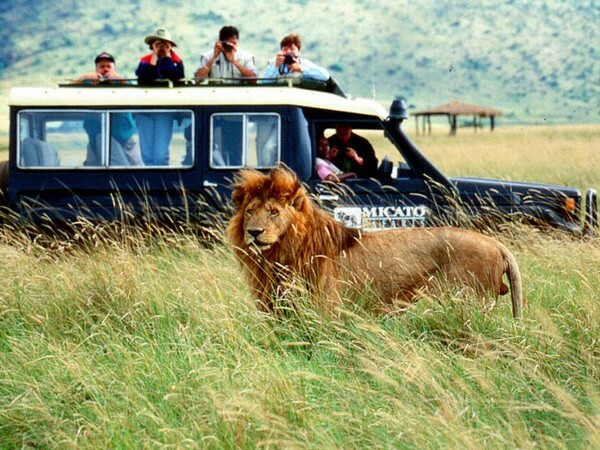 Am already going on a safari with my boyfriend's fam in July, so will check that one off the bucket list! this was SUCH a fun post! I would def get both Celine bags too--- that bag is like #1 on my list right now! This post made my hump day!! What would I do if I won? I too would make sure my parents were taken care of and I would buy my mom the most amazing Emerald Cocktail Ring for her upcoming 60th Birthday. Donate money to Autism Research. Invest, Invest, Invest. 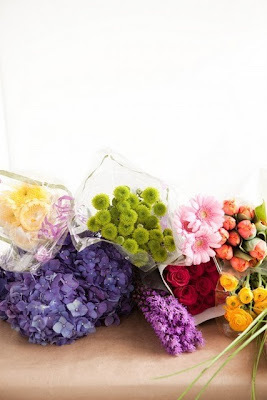 I love the fresh flower delivery - wouldn't that be awesome! Travel to Australia with my amazing husband. What a fun game to start your day off right!